Here’s a stupid story. We all know that in many video games the “bad guys” these days tend be Middle Eastern, a stereotype yes, but one drawn from this era’s headlines. 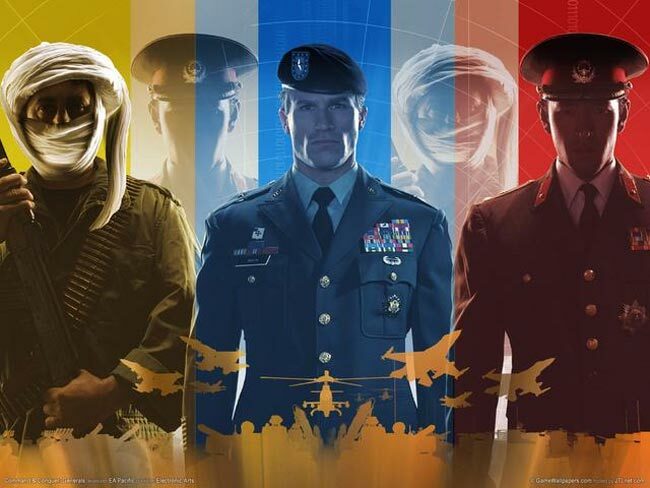 Apparently, Victory Games has decided to put an end to that stereotype in future Command & Conquer games, since one of the playable classes in its RTS game, the Global Liberation Army, consisted of Middle Eastern-type characters. Why is this story stupid? Because the developer has announced that this was an effort to avoid offending gamers. And to that end, they will be diversifying their approach. Developer Tim Morten says, “This is actually a pretty big change for the game. Anyone who knows this series will know the Global Liberation Army. But at the studio we had a bad reaction from people saying it was pretty offensive to have Middle-Eastern characters as militants […] Now we’ll probably just offend everybody.” Morten went on to add that the GLA will now consist of soldiers of at least five different races. That’s all well and good. Everyone hates rascism and stereotypes. What I have a problem with is a developer being pressured to change their vision of a game because of people being “offended” and that developer being a pansy and actually changing it in order to avoid a boycott or bad PR or whatever. You may not agree with the choices a developer makes for their game, but it is their vision. Their game. It isn’t as if they have an agenda against middle eastern personalities. As I said it is ripped from the headlines and your governments are the ones that have taught you to fear middle eastern countries, not this game maker. It’s like being offended because the mafia movie you are watching features Italians. Shut up and enjoy the game. Or don’t. Let creative people create what they want. If you don’t like it, agree to disagree and don’t play it. Stop whining and trying to impose your will on others. And you creative people, stop giving in to this politically correct bullying. Let’s take the energy you would give to complaining about this game and let’s feed the hungry. Cloth someone who is cold and has no money. Do something useful. That’s my two cents anyway.